"The hotel itself is well Maintained ." 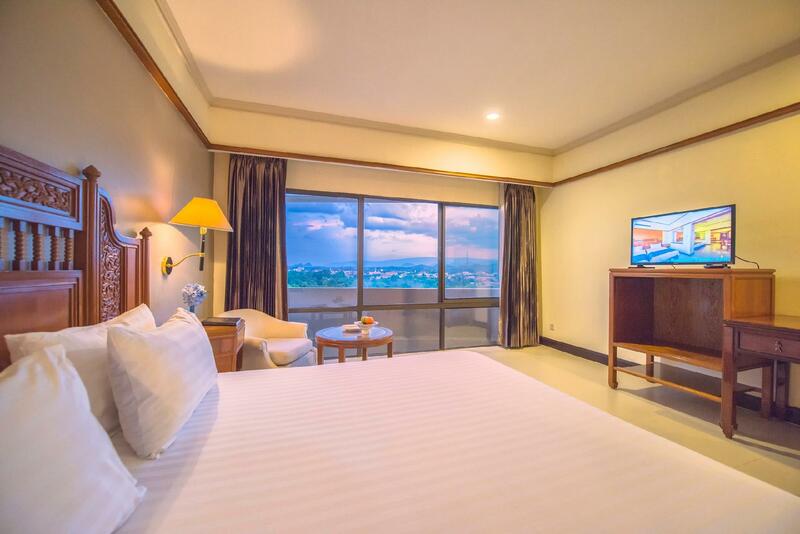 Have a question for Loei Palace Hotel? "Really enjoyed our stay in this hotel." "Nice and clean and great value for money." "The price was fair and the room was clean." Enjoy the charms of a lesser visited region of Thailand at the Loei Palace Hotel. 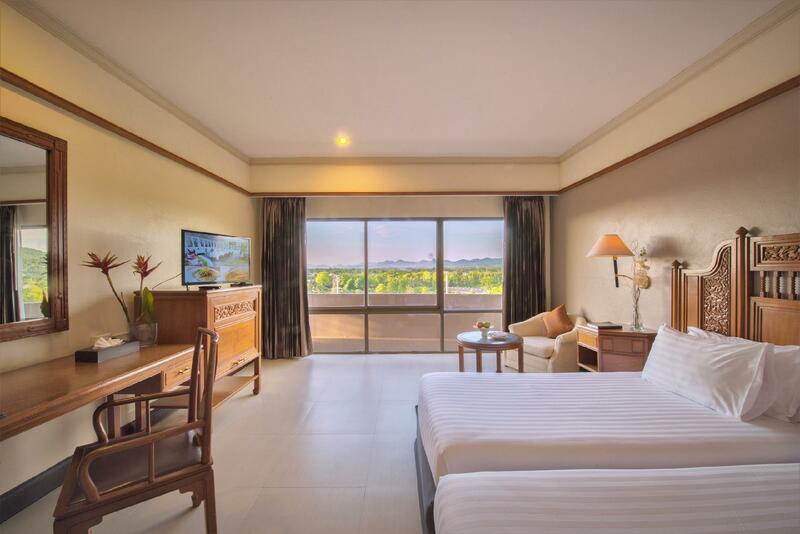 This hotel is located only five minutes from the city center and is close to the Laos border. Included amongst the local attractions are the Loei vineyards, the Chaing-khan, Hinphangam cave, and Phu Pa-pao. All areas are outstanding in natural beauty. 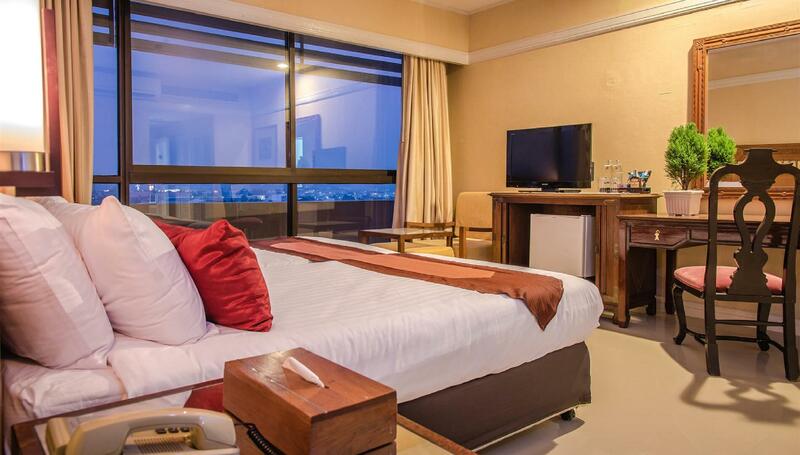 Rooms come fully equipped with all the modern conveniences, while facilities include an outdoor swimming pool and Jacuzzi. Services include airport transfers, a concierge, as well as room and laundry service. Nearby are popular floating restaurants where visitors can taste the local cuisine in a mountainous setting. Further features guests may enjoy are complimentary Wi-Fi in all rooms, tours made available at the front desk, and meeting facilities which complement the executive floor. If you’re looking for a special and unique experience, look no further than Loei Palace Hotel. This is a high standard hotel in an area surrounded by parks. Including gardens, sports facilities, gardens, jogging track. Thee location is good. A short walk gets you into the city in a few minutes. The is a Saturday night walking street market very close to the hotel, which is an interesting evening of people watching. The central atrium design of the hotel can result in noise from various functions held on the lower floors entering your room. However the noise doesn't continue late into the night. I have to pick and choose to get a con. But the staffs aren't fluent in English. That is all I have 😆 Nice location, all amenities, spacious, clean.. What else can you ask for. I was there with an Agoda insider deal, so the cost was very reasonable for me. Staff were exceptionaly helpful and friendly, room was large and clean, close to cafes etc. and being adjacent to the park was a bonus. My only complaint was that you couldn't buy just one ot two glasses of wine with dinner, you had to buy the whole bottle. This hotel has a serious hot water issue for the last 10 years! The water alternates from stone colt to boiling hot all the time. We have been going to this hotel for more than 10 years at least once a year. It is a wonderful place,perhaps the best hotel that I have stayed at in Loei province. When there were bathtubs, it was possible to live with. But now that they took out the bathtubs it is really hard to put up with. Please repair this problem! We love the Loei Palace! Saturday night there is a wonderful market next door with lots of cheap and tasty foods. The night life area is also very close, about 10 minutes by walking. Fantastic deal for the money compared to the quality. Hotel Staffs are so professional and have service mind! We stayed two nights for New Year's Eve countdown. Big Night Market is just few minutes walk. Outside restaurant is a little bit far from the Hotel if you will not eat breakfast there. Got my room for almost 50% discount anyway so it was a good deal. My friends are planning to return here anytime soon. You cannot go wrong with this hotel. Ample parking space. Great folks at the reception. Breakfast can be improved. I might have an opinion because I have stayed at this hotel more than 15 times so the breakfast....well! 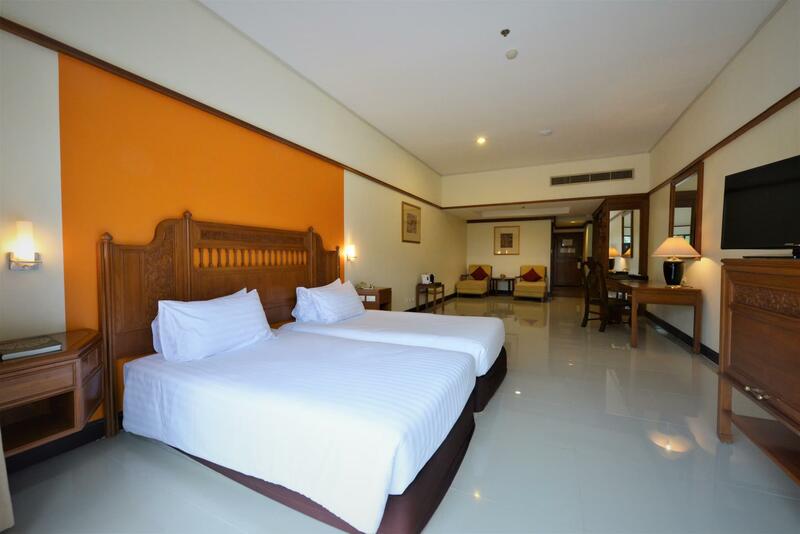 Rooms are well maintained and very clean. Incredible service, the bell boy helped us with our bags and our room. Unfortunately the next day I had a flat battery in my car, the staff assisted jump starting my car and again spending hours with me before calling a local mechanic . Can not recommend them enough. While the price is a bit more than most other places the rooms were nice and to a western standard. Location is central but a few minutes walk to anywhere as it is in its own little area. Good to have a relax in a soft bed after many nights staying in "Asian style" hotels. For our purposes, this hotel was perfectly positioned. It was quiet, very spacious and the staff were excellent, being very friendly, respectful and always willing to help when required. I definitely recommend this hotel. 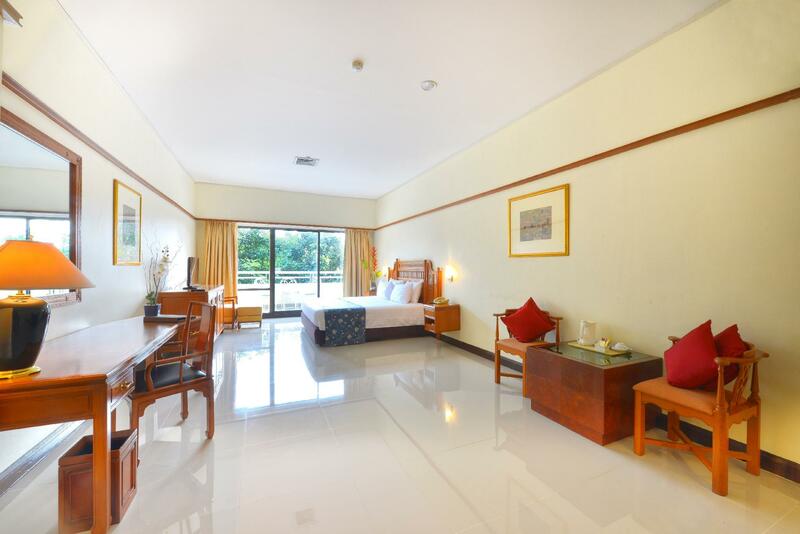 Big bedroom, big bathroom, fantastic pool, good breakfast and good location. A welcome oasis in north east thailand after long road trip. Loei Palace Is a beautiful grand hotel and Loei is a lovely town. I think this is probably the best option in town. Restaurant food ok - burger great but seafood salad not so good as squid to chewy and no flavour. 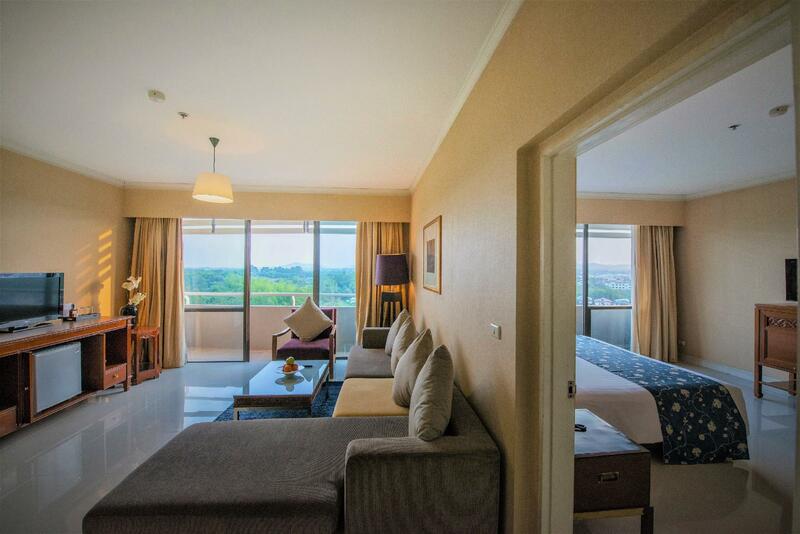 Room large and comfortable but NO accessable balcony or terrace as listed on Agoda. Off road parking facilities. Staff Handles English, Clean Rooms, Helpful Staff. WIFI not reliable. Awkward location, not near to food outlets. Need to cross bridge to city area for food. Not near to city center as advertised. No onsite massage facility. WIFI is not totally reliable or available all the time. Staff were very helpful and responsive. Very clean hotel environ. Location is NOT really at city center. This is false advertising. Also there is no onsite massage facility. Lots of food stands across the nearby bridge. Booked standard room b/4 and got an upgrade free so this time when not upgraded a bit dissapointed. No tea and coffee in room no hair dryer only 1 pillow each. No problem really just upgraded 400 baht next time i'll take my own. Great park at rear of hotel for jogging and large pool for a swim. Good wine list in resteraunt food ok.